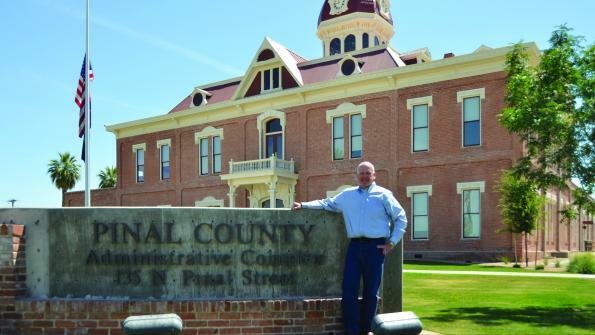 Shortly after Fritz Behring arrived in November 2010 as the new county manager for Pinal County, Ariz., he learned two project supervisors had backdated forms so the county could qualify for federal funding. When Behring questioned them, he recalls, they not only admitted they had changed the dates but seemed annoyed that Behring was even questioning their actions. Behring says he was struck by the cavalier attitude, which he says displayed a lack of concern about breaking rules and placing the county at risk for fines or worse. “I called in their supervisor and told him that if these two managers were not gone by the end of the day that [the supervisor] would be gone as well,” he says. 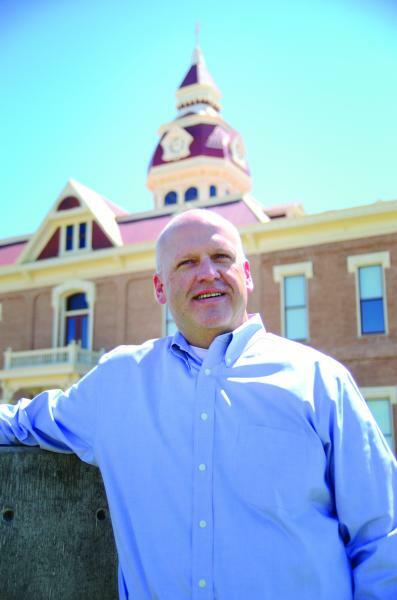 Behring’s message of change was not limited to county employees. It resonated among current and former political leaders and civic associations who all knew the growing county of just under 400,000 residents needed strong leadership to avoid financial disaster. And the county needed it quickly. “He was able to go from zero to 60 in a short time,” says Steve Miller, a county board of supervisors member, who has become a strong supporter of the county manager’s fiscal policies. For his strong performance during a crucial, transitional period in Pinal County’s history, American City & County has named Fritz Behring its 2013 County Leader of the Year. David Snyder, a member of the board of supervisors that hired Behring, says the board was looking for a leader who could cut expenses quickly and had a vision for the future. “We wanted someone who could position us not only to weather the recession but could help us to hit the ground running when we come out of the recession,” Snyder recalls. Supervised the reconstruction of the 1891 historic courthouse — the state’s oldest public facility. The courthouse is now a tourist attraction, a home for many county offices and a space used by members of the community for a variety of public activities and private functions. Overhauled the performance management system to better align it with the county’s goals. When Behring arrived, the county was still reeling from the 2007 guilty plea of former County Manager Stanley Griffis, who served three years in prison for stealing $426,800 in county road-improvement funds, filing his taxes illegally, receiving improper county reimbursements and citing false wages to increase his pension. Miller says the old culture was well-ingrained into the organization. He recalls the evidence showed secret bank accounts and undocumented trips during the Griffis administration. “The first year [Behring] had to get his arms around the situation, tighten up the ship. There was some pushback by the old guard,” Miller says. Wendy Petersen, the county’s human resources director until April 2013, says prior to Behring’s arrival, the county had very few set personnel policies. Rather, hiring was done “by winks and nods and handshake,” with many budgeted positions having more than a single occupant. But times have changed. Largely through attrition, Behring cut 375 jobs, including 260 positions eliminated when the state privatized county health services. However, all but 10 managers moved to the private company. The county eliminated about 100 additional positions and forced managers to justify replacing any vacant position. Behring made additional changes after learning from staff that the performance management system at that time “was completely worthless” because it was not tied to realistic and meaningful measures, according to Petersen. Behring also received plaudits for transforming the unused, historic county courthouse into a multi-purpose government facility. He used $3.2 million already authorized for constructing a new building and one-time stimulus government funds and grants to fund the $6 million project. A South Dakota native, Behring came to the job well prepared, having served as the top professional in governments in Nebraska and Florida. He says he knew the major challenge was to re-engineer Pinal County’s operation and gain his staff’s support. Behring also found the county was losing money when it housed federal prisoners at the local jail. For years, county leaders had been told that the county makes a surplus on the arrangement. “It was a real weakness in the organization,” he says. “The people making the policies were making decisions on misinformation or half information.” The county is finalizing a new arrangement with the federal government, he says. Behring brought the public into government discussions. He held public meetings about renovating the courthouse. A special website page with frequent updates on the project was created. Also, the county website now includes information on all contracts as well as monthly expenditure updates and campaign financing. Behring believes the new budget will be the last with decreasing revenues, as an improving economy finally provides more room for growth. Behring says the county needs to plan for what he believes will be substantial growth in the future. One of his top priorities is to attract more businesses by reducing tax levies, which will help the economy resist boom and bust cycles. However, he says there is hard work ahead, once the county’s finances are fully stabilized. I am glad to know that Fritz Behring learned two project supervisors had backdated forms so the county could qualify for federal funding. That building looks awesome. This article has some great and useful information about this topic. Keep posting.